1. Never attempt to build a project that you don’t understand. While we feel that the instructions, parts lists, and discussions are adequate for understanding/building the project, they are not meant to be thorough nor comprehensive enough for an absolute beginner to follow. The steps are merely a general guideline to help you get started building the project—not an exhaustive tutorial. 2. Locate, download, and read the datasheets for all components cited in a project. Case in point, if you need to know the pin assignments for a part, read the datasheet. Update: For example, in the Dingtones project, the two capacitors mentioned in the parts list are coupled to the voltage regulator for power stabilization. This connection is illustrated in most 78Mxx datasheets (e.g., National Semiconductor). Also, please note, that in this project, we substituted a 0.47mF capacitor for the 0.33mF one illustrated in most 78Mxx datasheets. 3. 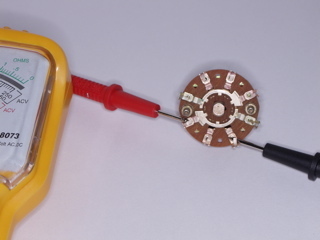 Test all connections with a multimeter during all phases of project building. 4. Most projects look easy to build. But each one can have its own set of hidden “gotchas.” Know your limitations, study the parts list, and think the project through before you begin. If something doesn’t “feel” right, then don’t build the project. 5. Manufacturers are making their products harder and harder to “open up.” If you don’t feel comfortable breaking, ruining, or voiding the warranty of your brand new gizmo, then don’t build that project.